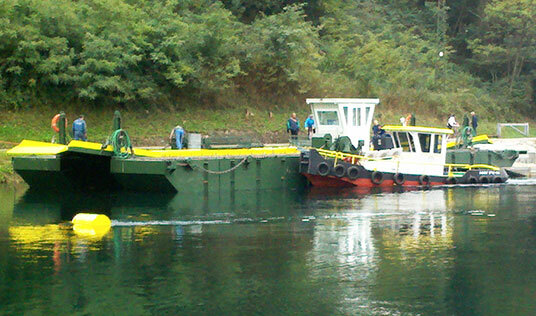 The modular pontoons can be combined or assembled in motorized pontoons, barges, special crafts and structures where particular and flexible configurations are required. Easy to mount and transport, ideal for multiple usages. 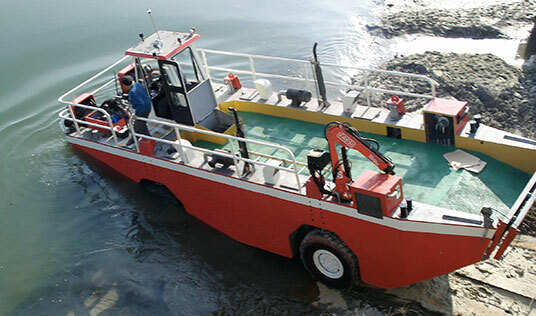 With decades of experience in dredging activities Costruzioni Navali became a true reference in building of dredges, to be deployed in quarry, river or sea, with any kind of test. 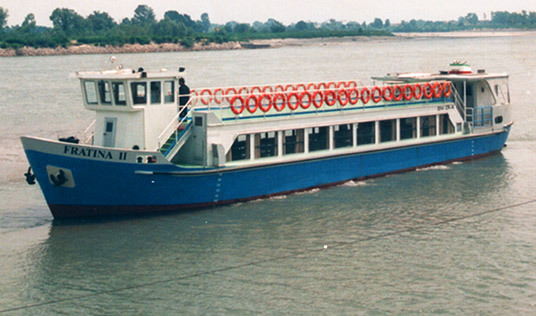 In 1979, Costruzioni Navali patented the new propulsion system based on hydraulic principle. 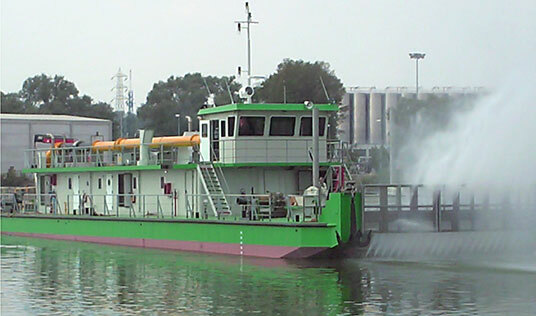 Its hydraulic propulsion units combine the manageability of an “outboard” with the power going up to 1000 HP. 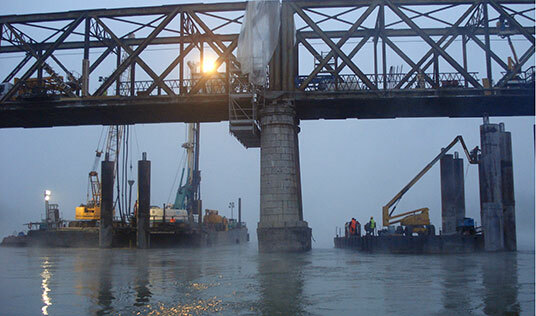 Costruzioni Navali is a reference point for all those who have to work on water. 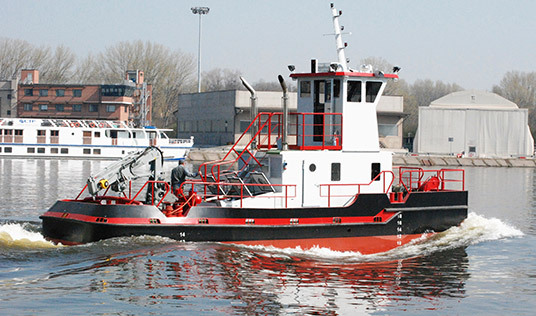 The shipyard, composed by two principal operating units of Pavia and Cremona, delivers services of design, building and repairing of vessels, production of hydraulic propulsion units, tests under the main classification organizations. 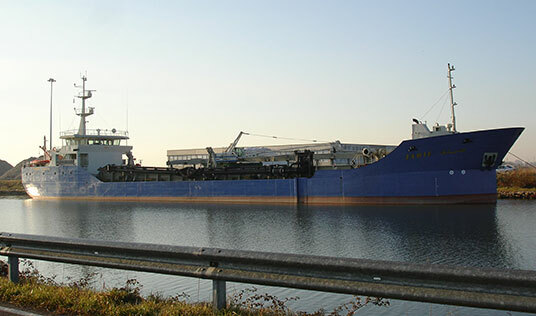 The Company is known for a constant research of original and innovative solutions like propulsion groups or modular pontoons; these solutions allowed Costruzioni Navali to be in the vanguard in hydraulic plants, dredging and propulsion domains. 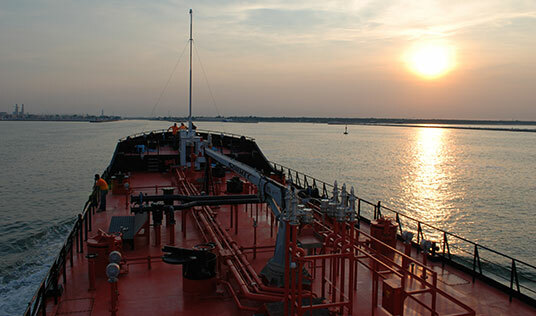 A quality assured by almost a century of experience in shipbuilding. The Company combines the profile of the modern and big size industry with the family owned business. The listening of the Customer needs is essential before the production starts; an optimum solution is then found to match the specific demand.